I found this song yesterday after a woman suggested this violin player on Mylot. Some background first of why I wanted to read Shatter Me: Many years ago I had a short nightmare of a girl walking down a street. She comes upon a car and she puts her hand on the back windshield and then blood appeared on the windshield. After I had the dream, I thought it might make a good story. I was itching to make it into a story. So I got my chance a few years ago when I was taking creative writing for my paralegal degree. I also was “working” at a place for people who help people find jobs for disabled people. (they named us consumers, not employees) I often wrote the place as a mental institution. My story was about a girl named Josie who can kill people with her hands. She was in a mental institution. I changed the ending of the story for it to be a ghost story. 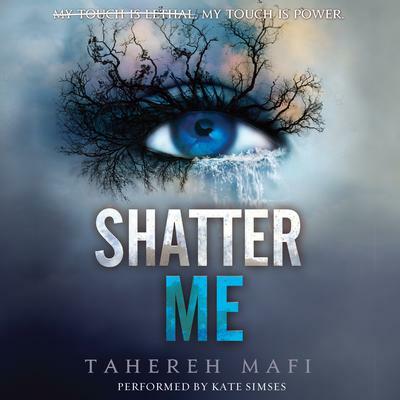 Now to the book Shatter Me: Shatter Me is the first book of a book series by Tahereh Mafi. It is a mix of my story and the book 1984. Shatter me is about a girl named Juliette. She can kill people with not only her hands but also her body. She was sent to a mental institution. She doesn’t have any visitors until a boy showed up at her cell. She recognized the boy by his eyes. She went to school with him. She ends up getting freed from the mental institution. But the man who wanted her freed is a crazy psychopath. Her and the boy (Adam) run away and then ends up joining a movement of other people who have special abilities. I LOVED this book. I thought I wouldn’t since it’s similar to my story, but I really do like it. I’m reading next: I’m next in line for Angel and Demons by Dan Brown so I won’t be able to read the second book yet. So while I wait I’m going to go back reading Good Wives by Louisa May Alcott. I LOVED this book. I thought I wouldn’t since it’s similar to my story, but I really do like it. I’m reading next: I’m next in line for Angel and Demons by Dan Brown so I won’t be able to read the second book yet. So while I wait I’m going to go back reading Good Wives by Louisa May Alcott. You can find Shatter Me at Amazon.com, Wordery.com, Walmart.com, Downpour.com, or Kobo.com. What a great song! I hadn’t heard it before. 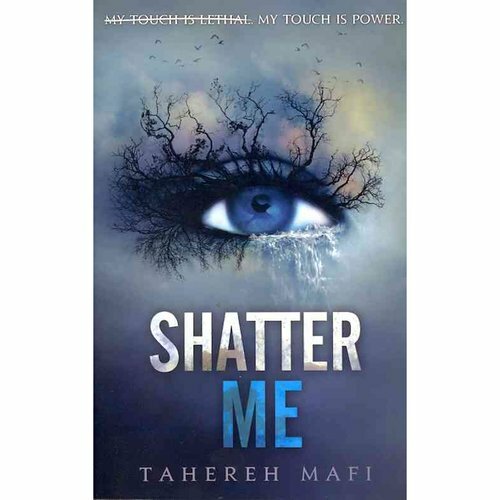 You’ve also made me more interested in reading Shatter Me. It’s one of those books I’m kind of considering, but I’ve heard a lot of both negative and positive things, and I tend to have bad luck with popular books But I’ve heard it has beautiful writing, and I love that, so I’d probably like it for that reason alone lol. This song does seem perfect for the book though. And how funny that you ended up coming up with such a similar story! Love Lindsey Sterling’s violin playing! Isn’t it mad when weird things like that occur! I bet your mind was blown. You’ll have to tell me if Good Wives is good because even though I have finally read Little Woman (part 1), I haven’t gotten round to reading Good Wives (part 2) yet. It’s on my tablet, but I might just buy the physical copy out of the way, that way i’ll be more inclined to read it quicker. It’s yet another book that’s on my forever growing TBR list. It’s fun that you found a story so similar to the one you wrote. It’s interesting to see those parallels (and, of course, to see how they’re different).